High pressure will move to the Eastern seaboard through today. Sun will give way to late afternoon clouds with not as harsh conditions as the winds will have abated. A period of light snow or flurries is possible tonight with a weak disturbance rapidly moving through. Many areas North of the City won’t see a flake. A dusting to a coating of snow is possible South of the City. A complex area of low pressure moving through the Eastern states Tuesday and Wednesday. Arctic air will be to our North, but like so many times this season low pressure will move to our West allowing mild air to work up from the South. The potential is there for a quick hit of snow late Monday night and Tuesday morning. The snow looks to go over to rain during the morning along the coast. Inland, snow will transition to sleet and freezing rain and then eventually to rain. Some accumulation of snow and ice is possible inland before the changeover. 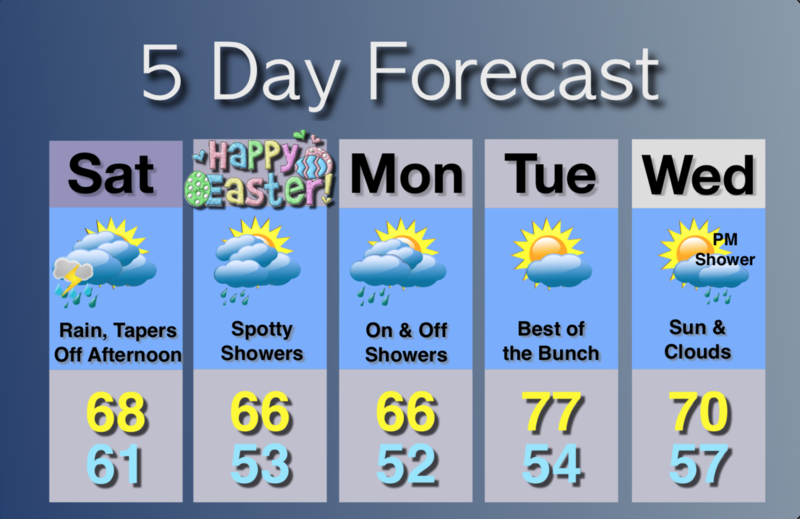 Tranquil and mild conditions are expected Wednesday and Thursday. 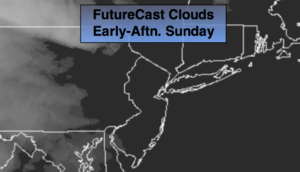 Sun will give way to late afternoon clouds. Highs in the mid to upper 30s. Northwest to Southwest winds at 5-10mph. Mostly cloudy. Highs in the mid to upper 30s. Snow to rain along the coast. Snow to sleet and freezing rain inland and then eventually rain. A coating to a few inches of snow and ice is possible inland. Highs in the mid to upper 30s, closer to freezing well inland.